Henceforth, under Rule of Crumb there’s no knead to be on your guard when it comes to gluten-free products. We live by the simple rule that our glorious food should be as fit for a king as it is for coeliacs… So it’s good knight gluten and good morning to full flavoured gluten freedom for all. Cream filled choux pastries drizzled with a richly indulgent salted caramel and chocolate sauce. 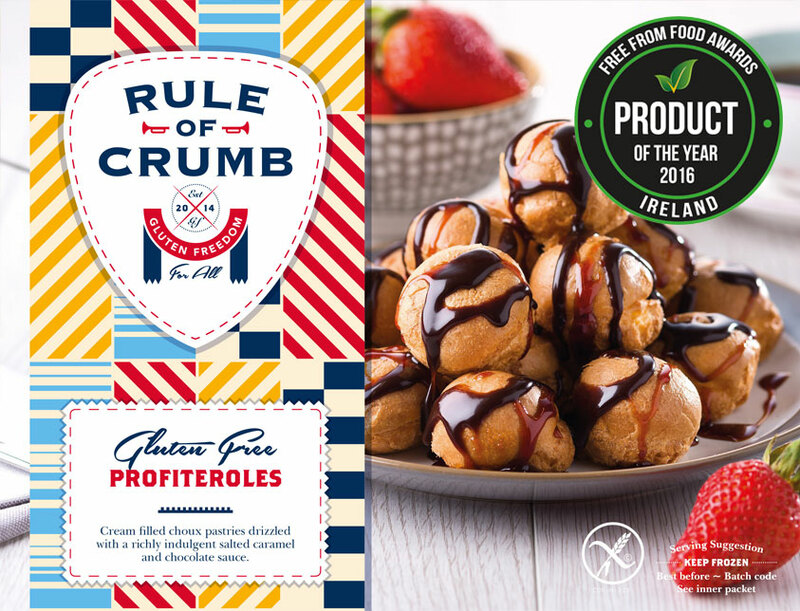 The Rule of Crumb Salted Caramel and Profiteroles won the ‘New Product of the Year’ award at the 2016 Irish Freefrom Awards in Dublin and have been extremely popular with Coeliacs all over the world. This product is sold frozen and you thaw the choux pastries before adding the sauces and enjoying. Please note – once the packet is opened they are addictive! 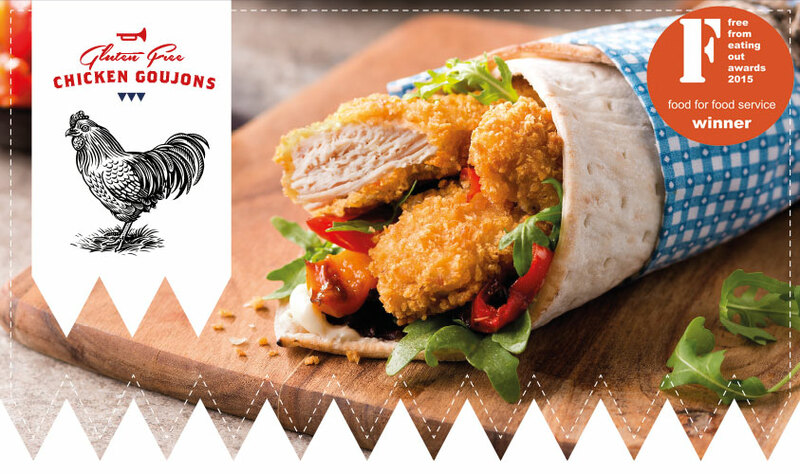 The reason why our gluten-free chicken goujons taste so good is that they are made using high quality EU breast fillet with no additives or brines and our special recipe breadcrumbs give excellent flavour and texture. 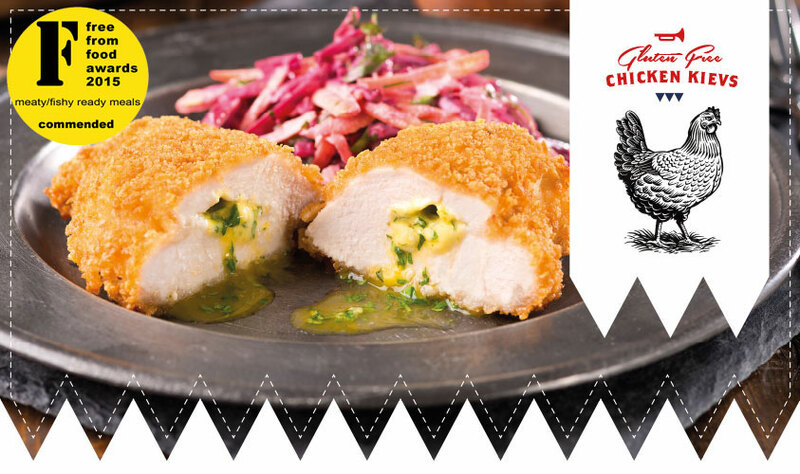 Rule of Crumb’s succulent and delicious chicken Kievs combine high quality EU breast fillet with no additives or brines, our special recipe breadcrumbs and a gourmet garlic butter and herb filling with flavour that speaks for itself. As with our goujons, our Kievs are conveniently packed in 2 x 195 g Kievs. average making it easy for the kitchen to avoid cross contamination. 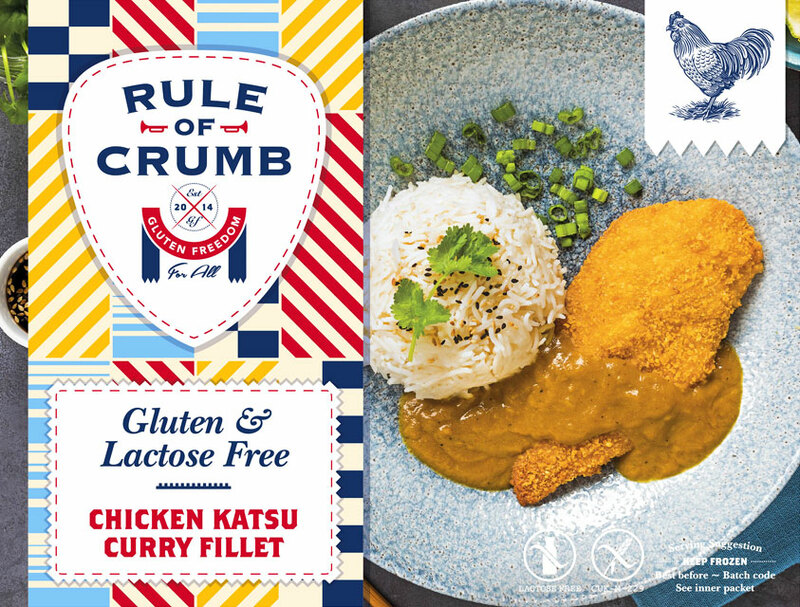 Rule of Crumb’s succulent and delicious chicken Katsu Curry fillets combine high quality EU breast fillet with no additives or brines, our special recipe breadcrumbs and a gourmet Kastsu curry sauce (Gluten Free & Dairy Free) with flavour that speaks for itself. 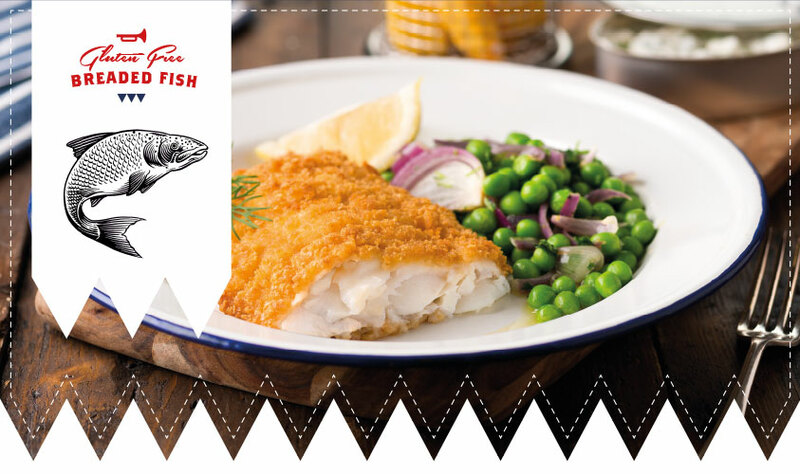 Our fish offer is a versatile proposition with high quality white fish prepared in both fillet and goujon size portions and coated with our signature gluten-free crumb recipe. A unique receipt of MSC fish fillet mixed with a blend of vegetables, herbs and spices and coated with our signature gluten-free crumb recipe. 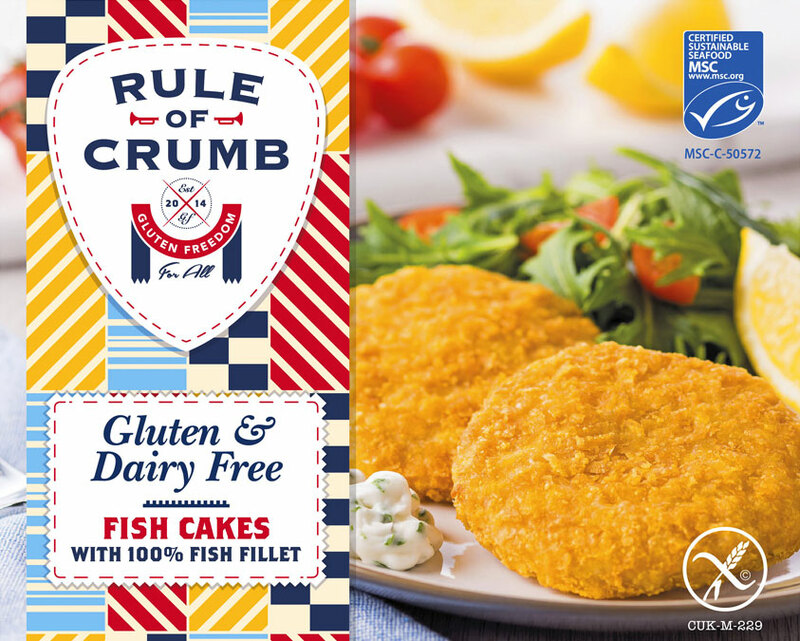 A great tasting fish cake (gluten free & dairy free) suitable for children and adults. 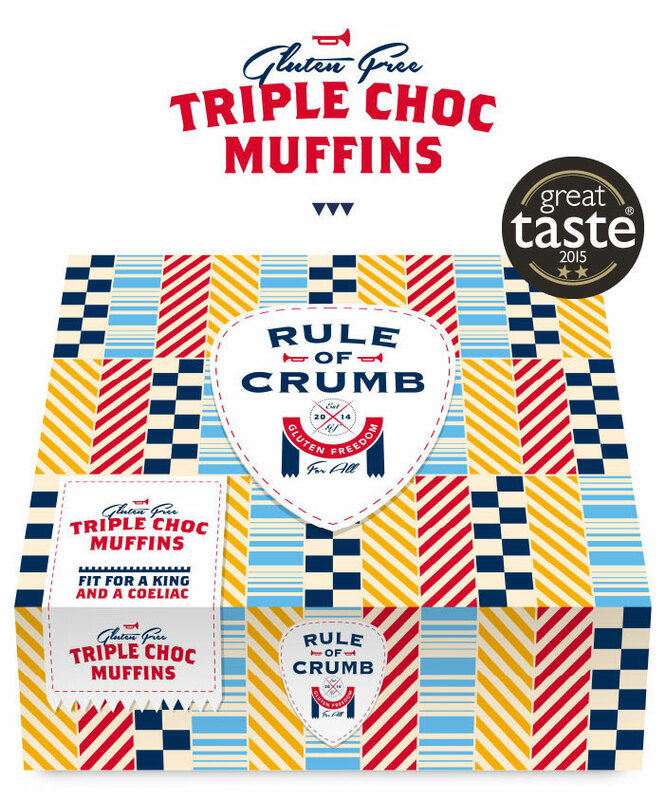 Rule of Crumb’s tasty and delicious Muffins are available in Triple Chocolate or Blueberry flavours. They are individually wrapped to prevent cross contamination and with a 7 days shelf life from defrost , and are perfect for parents and children to put in a lunch box or heat and serve with ice cream, or for a coffee shop or bistro looking for a gluten-free item to have with hot drinks. 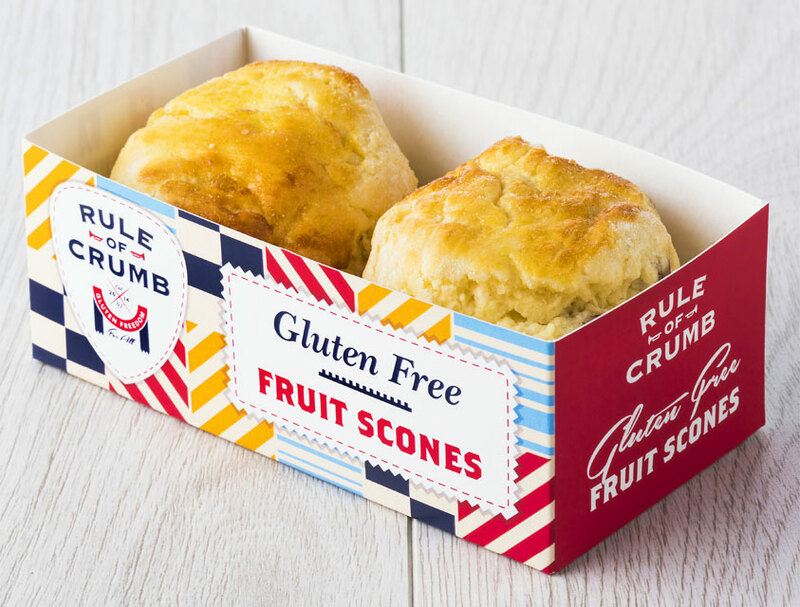 Our great tasting fruit scones are perfect for Afternoon Tea! We suggest serving them with fresh cream and strawberry jam. Sold in a packet of 2 scones they are a perfect treat to have in the freezer. 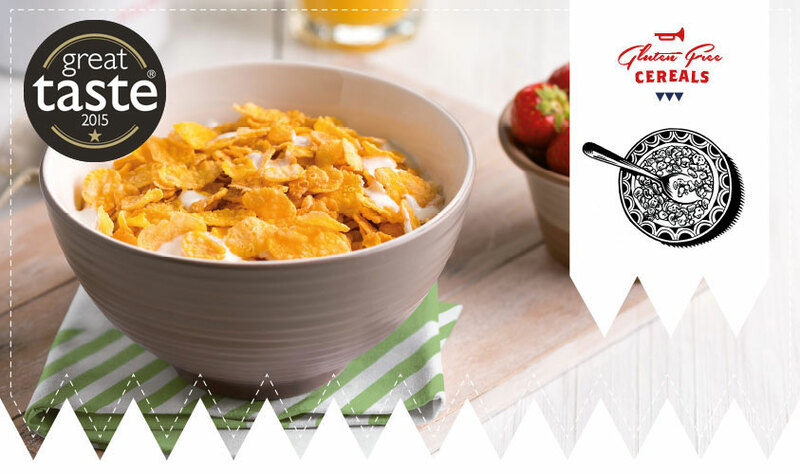 For hoteliers and caterers wanting to offer professionally presented gluten-free breakfast cereals whilst cutting down on waste, our three options are neatly portioned and are suitable for all ages. 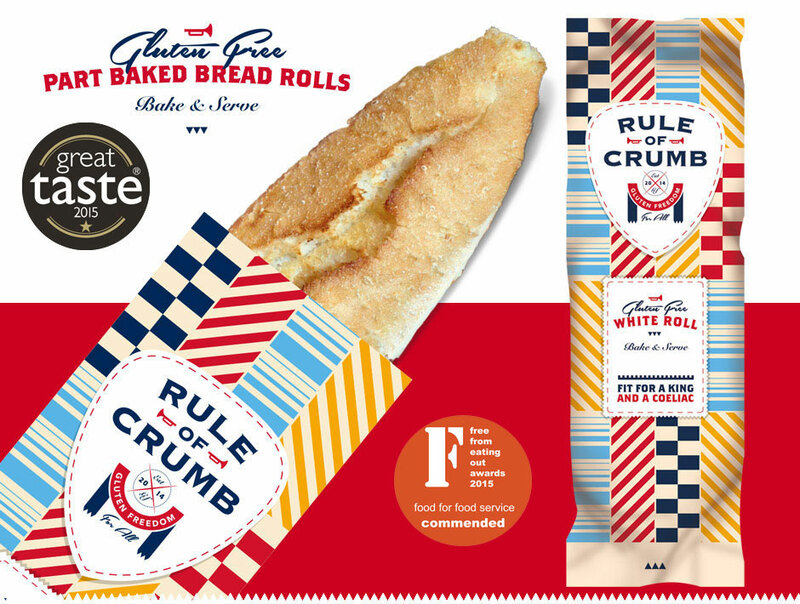 The perfect solution for parents, restaurants and hotels, Rule of Crumb’s baguettes come in individual portion sizes to reduce wastage and enable chefs to provide a freshly baked, tasty, gluten-free roll to their clients. A branded and sealed cooking wrapper allows each baguette to be served straight from the oven to the table letting the client see a roll baked specifically for them. When they tear open the wrapper, they feel reassured that there has been no cross contamination with any other items. A part baked crusty baguette filled with Lactose free garlic butter and dairy free cheese - sold in a sealed cook-able packet. This frozen product is taken from the freezer and cooked in the packet before serving a tasty gluten free cheesy garlic baguette straight from the oven (Lactose Free). Our NPD team is constantly developing new products to meet the growing needs of Coeliacs. Our latest product is a gluten free and dairy free Chocolate Éclair – the first of its kind in the UK. We are sure our customers will love these. Watch this space for details of new products coming in 2018. 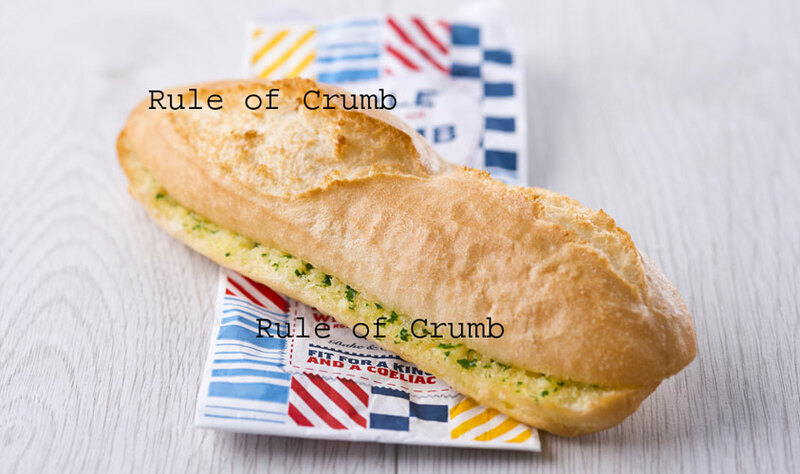 In which National UK Supermarkets can I buy Rule of Crumb Products? 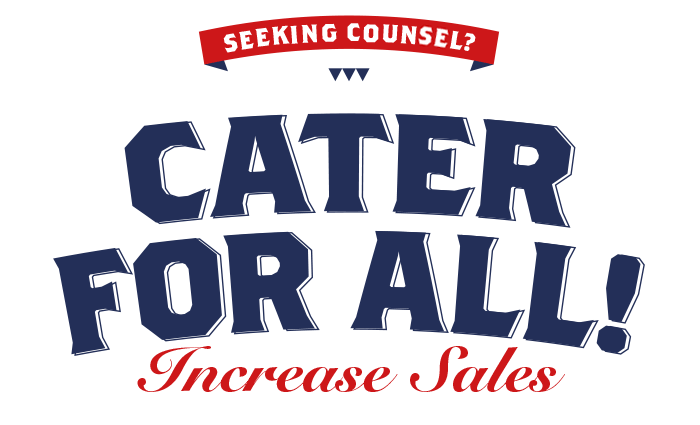 If you're a retailer, hotelier or caterer looking to follow the Rule of Crumb and increase sales then simply get in touch with the King via phone, email or homing pigeon. The team at Rule of Crumb are always here to help and ensure you manage your kitchen correctly and your customers can enjoy delicious gluten-free foods. Download our handy rule book and start educating your staff on how to safely prepare food for coeliacs and avoid food contamination. 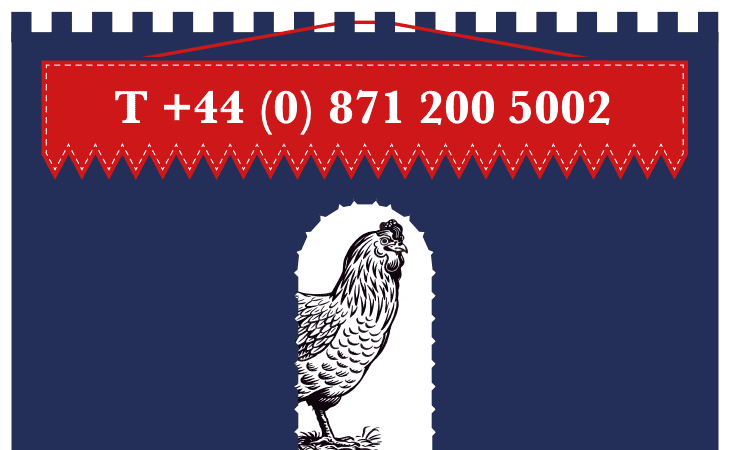 We've even gone the extra mile to help you gain the trust of your customers with our gluten-free identifier flag to help out staff and also put customers at ease.